*It was a beautiful morning as Nikki and I headed out for our walk this morning. We also enjoyed a surprise treat. As we walked through the Stein’s Grocery Store parking lot, Art Hinton was coming out, and he joined us until we got to the Conoco Super Stop by Yoke’s. He is one of the happiest and most positive people I know. He told us he would be participating in the Spring Dash race in Coeur d’Alene tomorrow, and is looking forward to the Bloomsday race in Spokane in May. He has participated in almost every Bloomsday since it began back in 1977, except maybe one when he had some health issues and was unable to participate. Thank you Art, for starting our day off with a smile. *The refrigerator saga continues. Paul has and will continue to do some adjustments to the space in our kitchen where the refrigerator should be. We thought about maybe getting a smaller fridge. But after Paul and Sherri at Watt’s Electric talked it over, they decided the best route would be trying the same one again, and try and get it to fit. So Monday morning we will see. *My sister-in-law Debbie came over so we could get caught up. She has been gone the past month visiting her some of her children and grandchildren back in Maryland and New York. We had a great visit, and it was good to see her again. *Around noon I put a plate together of Pecorino Romano Cheese, dill pickles, Kalamata Olives and Green Olives, and headed out to the end of French Gulch to the gathering of our book group. 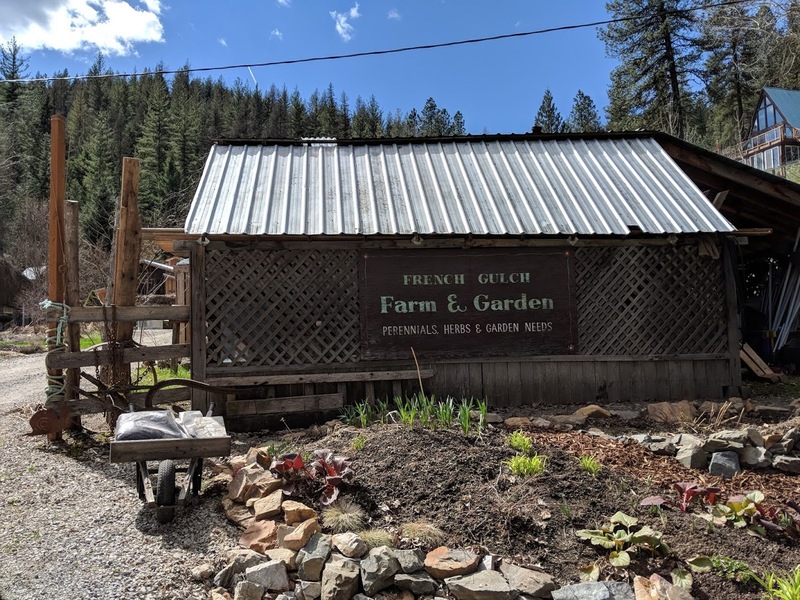 This month we were hosted by the owner of French Gulch Farm and Garden. They have recently constructed a new building on the grounds, a “barn” to host events indoors. It was wonderful!! We had a delicious lunch, and none of us liked the book we chose to read this month, A Visit From the Goon Squad. For me, the characters lives and the choices they made in their lives were all too depressing. *I returned home and enjoyed being outside for a little bit. I was easily sucked back into the East End of London as I continued watching Call The Midwife.